Raising toddler twins is a fun time. This is when they are beginning to explore and discover everything in their little world. 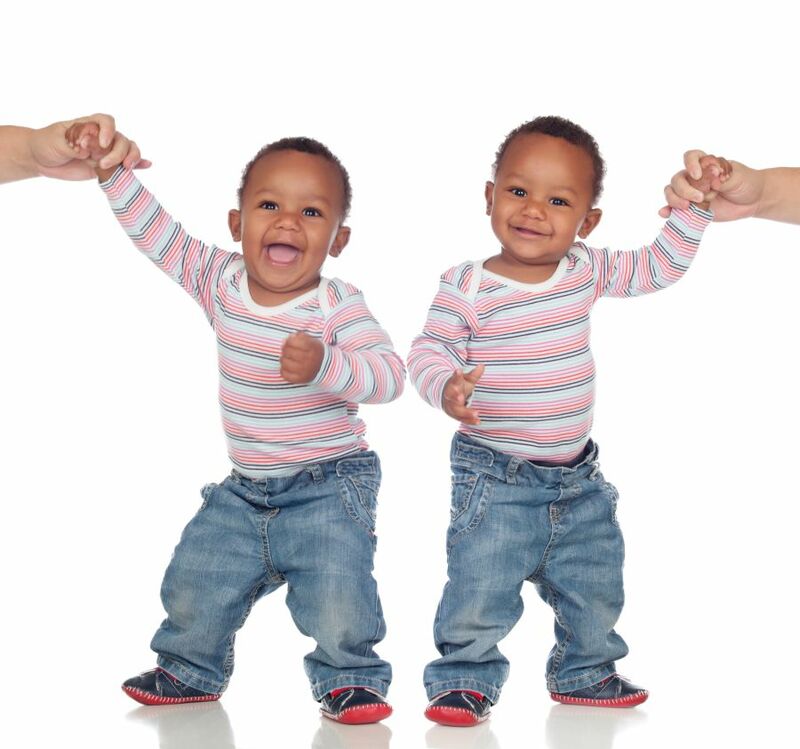 If you are raising toddler twins, you can expect to have two times the fun...And sometimes, double the trouble! This is the age of fascination and keen interest in everything that is going on around them. Yes, twin toddlers take a lot of time and energy. This is why you must plan your time wisely. Their nap time is one of these times. Normally an hour nap is sufficient for most toddlers, but you will have to cater the time to the needs of your own twins. Regardless, if you can keep your twins on the same sleep schedule it provides the perfect opportunity to get other things done that are waiting on your attention that can't otherwise be done when they're awake. Another time is meal time. If you need to do something that can be done from the kitchen, put them in their high chairs, give them their food and get busy. You are close by to keep an eye on them but they cannot jump down and take off into another part of the house. This is the time toddlers start to show a little independence and allowing them to feed themselves is going to be very beneficial. You can even set up other activities that they can do in their high chairs. Finger painting, playing with blocks, etc. An efficient way to keep twin toddlers busy for small increments of time. Don't forget twin-proofing! There are no ifs, ands or buts about it. The home, or any home that has toddlers in it should be childproofed. There are far too many accidents that happen due to toddlers getting into things that should have been put away. The kitchen and bathroom cabinets and drawers should all have the safety locks that toddlers cannot open. This will aid in preventing accidental poisoning, possible choking hazards as well as protecting them from drawers that may hold sharp knives or other utensils. Remember, when you have two young children getting into stuff at the same time, the potential for disaster is doubled. Twins can get into certain mischief that a singleton may not be able to accomplish on their own. Do not forget that swimming pools are attractions to youngsters as well. Keep this area securely locked when you are not with your twin toddlers. The number of accidental drownings is another statistic that you do not want your children to become. There are safety kits made specifically with toddlers in mind that can be purchased to child proof your home. The outlet covers and cabinet locks among other items are all ready to be put to use. This may help you to keep from forgetting something that all those 20 little fingers will not forget. Let's talk about twin temper tantrums too. Have your twin toddlers had the lie down in the floor, kick and scream temper tantrum yet? The one that you know will have the police at the door at any time wanting to know if everything is all right. Or, even worse, the one that happens when you're out and about with them in public. 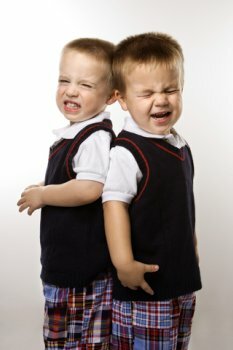 The full fledged temper tantrum is bound to happen some time or another with both twins at the same time. When this happens, do not lose your cool (at least, try not to). Put them in "time out" or whatever other consequence you have implemented and stay consistent. It will not take long for them to figure out you will not tolerate this behavior. There may even be times when have to leave your current location, or try different measures to get both children to fall in line. 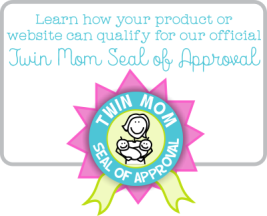 Accomplishing good behavior when raising toddler twins can prove to be a challenge for parents. But, the more you stay consistent, the easier it will be for you and them. This will also be great preparation for starting preschool and kindergarten. How about taking your toddler twins on outings? With practice you can do this by yourself, but if you are not careful this can become a disaster. You may want someone to go with you the first few times until you think you can handle it on your own. The best idea when raising toddler twins is to purchase a double stroller. This will allow you to keep them in check until you reach your destination. If you like taking them to the park, this is an excellent idea to get them there, especially if you live fairly close. Although, driving to a location and then stroller-ing the rest of the way isn't a bad idea either. Having a good sized twin diaper bag packed and at the ready will be a bonus too. The double stroller is another great idea for the mall. If you need to go shopping, take the stroller and you can keep an eye on your toddler twins while you are shopping. If you purchase a small toy to keep them distracted while you are browsing, they will probably sit in the stroller for a while and you can shop in peace...at least for a little while! Nobody ever said raising toddler twins was going to be an easy job, but raising any child is not always easy. 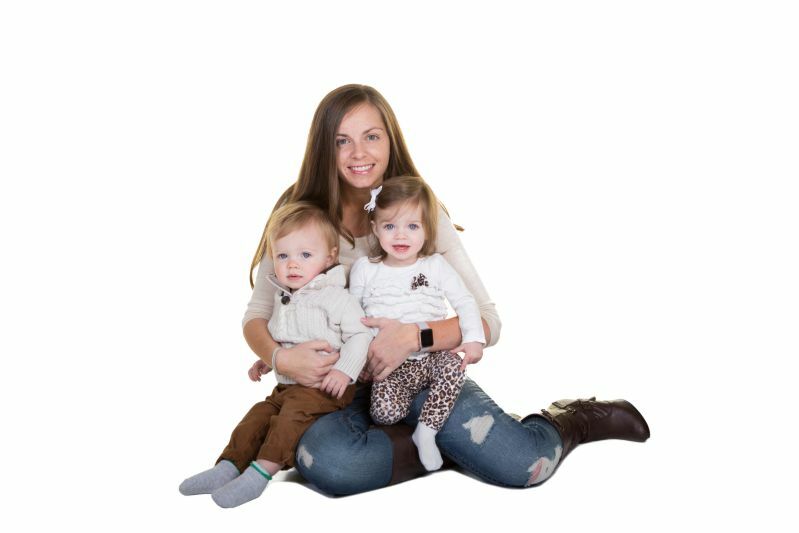 However, it can be fun if you approach it in the right way, be inventive, and pick up a few tips along the way from other twin parents on how to make it a little less complicated.